When the wild takes hold. In my time of work and minimal free time Spring has sprung across the grid of SL (though the same can’t be said for RL -CUE RANDOM SNOWSTORM-). The anticipation for the new round of the Fantasy Gacha Carnival is definitely in the air. Featured is a couple of the lovely, if not must-haves from [BlackPearls] dubbed ‘The Fallen‘. The Fallen Collar is the Ultra Rare Item, which includes the Complete Outfit (essentially all the rares and all the commons!). As it is known, I love accessories and these absolutely do the trick, as they can be donned to compliment any dark ensemble you wish to have. Next up is that the Spring round of The Season’s Story has begun with quite a variety of skins (such as .Birdy.’s Limited Edition Kayla skin featured above! ), clothing (for women and men! ), hair, decor, and then some all to bring you out of the chill of winter. Shown is VinCue’s maxi dress, in which is casual but can be dressed up for any genre. 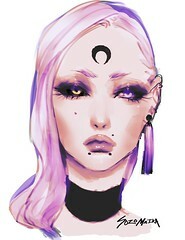 Last, but not least is the Cosmetic Fair, where I gathered up a brand new Moon hair, this unique lipstain from NOX., and vibrant eyebrows from [okkbye]. There is so much going on and it’s only April, for alongside these events, the 100 Block has opened (sponsored by Depraved Nation), Comic Fair, and the Monochromatic Fair (in which [geek.] is a sponsor, so expect a Side Quest soon enough!). Keep your calendars marked and your Lindens stowed away for what this season holds! Merry shopping all. So, it is known that I am a glutton for gorgeous accessories, especially that of headpieces that are both unique and intricate. 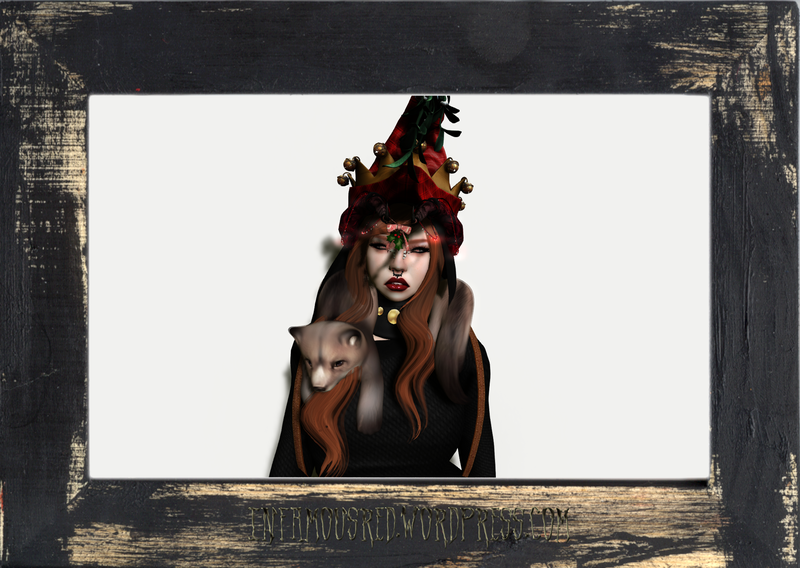 Aymee/Nia of [Keystone] always exceeds my expectations with her jewelry pieces, especially with her latest release of ‘Zahidah’s Crown‘ that will be available for the next round of The Fantasy Collective this February 20th. It will be available in gold, gold/silver, silver, silver/onyx, and of course onyx (featured above). 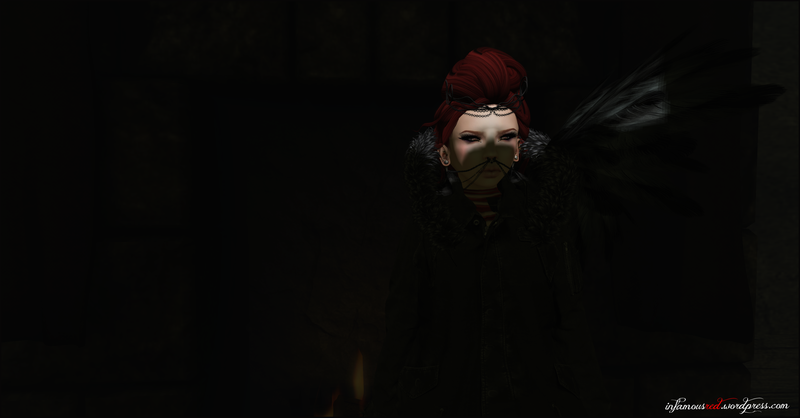 *Chronokit* has also released a comfortable, liquid mesh coat to further compliment their collection of outerwear, and with the chilly season and snow still here, I am more than thankful to be able to dress the part. In the meantime, hope you’re still enjoying the gacha craze, alongside the latest Genre ‘Fae’ Round! Merry shopping and trading and keep an eye out for the next round of the Fantasy Collective. Coat: *chronokit* ModsCoat02 Black – New! Why can’t I just trade a dream for a way, to peel back the shade behind the gray. So, it has happened! The Arcade‘s sixth gacha event has opened and is underway through the 31st! Featured above are just a handful of favourites from Remarkable Oblivion, AUX, BBC, 8f8 and Sleepy Eddy. With so many amazing designers who have offered brand new and awesome creations, there is sure to be something available for every person of SL. Clothing, hair, accessories, home & decor, and so much more is available, so why wait? While the sim is indeed perpetually full you can still try here, however the neighbouring sim Casablanca Bay can be TP’d into for close camming and buying convenience! Be sure to start off the merry holidays with some gacha fun! One who lies defeated, beneath the other’s hands.